Heat Race #1 (10 Laps): 1. 48 – Danny Dietrich, 2. 11 – T.J. Stutts, 3. 70X – Spencer Bayston, 4. 67W – Justin Whittall, 5. 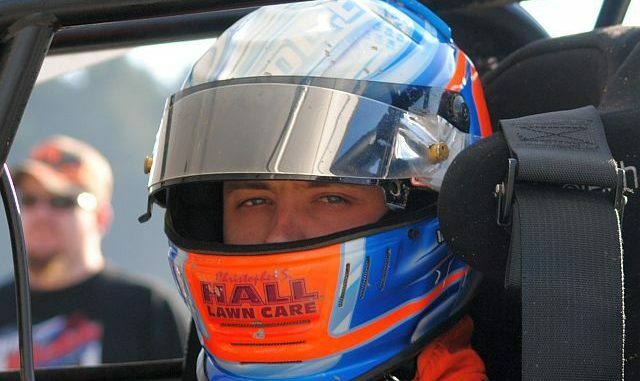 39 – Cory Haas, 6. 55K – Robbie Kendell, 7. 75 – Chase Dietz, 8. 47K – Kody Lehman. Heat Race #2 (10 Laps): 1. 21 – Brian Montieth, 2. 70 – Brock Zearfoss, 3. 5 – Dylan Cisney, 4. 39M – Anthony Marci, 5. 29 – Jason Shultz, 6. 1X – Chad Trout, 7. 73B – Brett Michalski, 8. 0 – Rick Lafferty. Heat Race #3 (10 Laps): 1. 72 – Ryan Smith, 2. 24 – Lucas Wolfe, 3. 11B – Dale Blaney, 4. 17B – Steve Buckwalter, 5. 27S – Adrian Shaffer, 6. 22 – Cole Duncan, 7. 99M – Kyle Moody, 8. 51 – Freddie Rahmer. Feature (25 Laps): 1. 1. 24 – Lucas Wolfe, 2. 48 – Danny Dietrich, 3. 11 – T.J. Stutts, 4. 72 – Ryan Smith, 5. 11B – Dale Blaney, 6. 51 – Freddie Rahmer, 7. 21 – Brian Montieth, 8. 1X – Chad Trout, 9. 70 – Brock Zearfoss, 10. 39 – Cory Haas, 11. 29 – Jason Shultz, 12. 5 – Dylan Cisney, 13. 27S – Adrian Shaffer, 14. 67W – Justin Whittall, 15. 0 – Rick Lafferty, 16. 99M – Kyle Moody, 17. 73B – Brett Michalski, 18. 70X – Spencer Bayston, 19. 47K – Kody Lehman, 20. 75 – Chase Dietz, 21. 39M – Anthony Marci, 22. 22 – Cole Duncane, 23. 55K – Robbie Kendell, 24. 17B – Steve Buckwalter.